“Ladies and Gentlemen! We are super excited to announce our second leg of the Shadow Theory Tour for Europe! 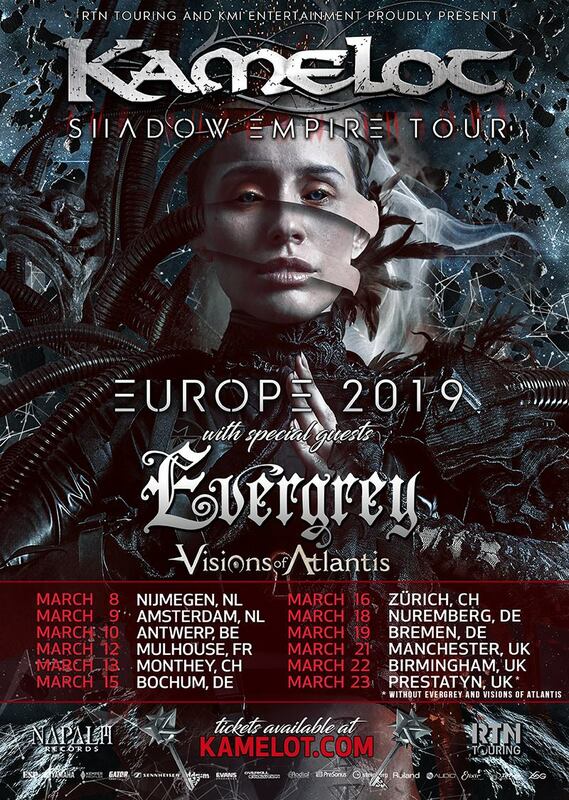 Joining us on this sonic and visual journey will be Sweden’s own Evergrey and symphonic standouts Visions of Atlantis. We are super pumped to get back on stage in Europe and bring the show to some new cities!” – adds Kamelot’s Thomas Youngblood. This monumental trek begins March 8th in Nijmegen, Netherlands and run through March 23rd, in Prestatyn, UK. A complete list of dates can be found below. 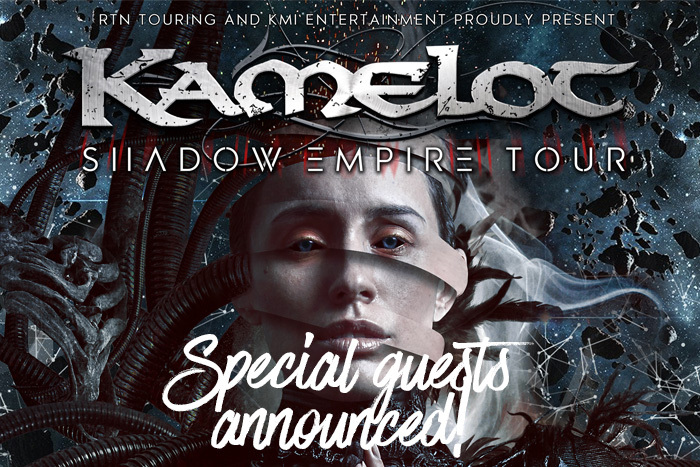 “Visions Of Atlantis will join the fleet of the Shadow Empire in 2019 and I am more than thrilled to share the stage with Kamelot again! We had a great time together this year, enjoyed their powerful and flawless shows and felt intense vibes from their passionate crowd! We deeply thank Kamelot for trusting in VOA again and having us be the ones starting the game every night on this tour in March! Evergrey are also bringing their forces and all together we will take you with us, through waves of bliss and pain, a blend of emotions your hearts will not forget!” – states Clementine Delauney from Visions Of Atlantis. Check out all the dates and ticket links at TOUR section.